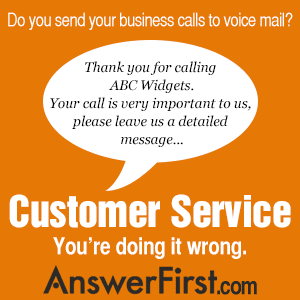 Answering Services, Call Center and Customer Service Solutions: Customer Service: Are You Doing It Wrong? Customer Service: Are You Doing It Wrong? Want more info about what we can do for your business? Visit our website to download a free pricing and plans packet or call us at 1-800-645-2616. Because Your iPhone Can't Do Everything!